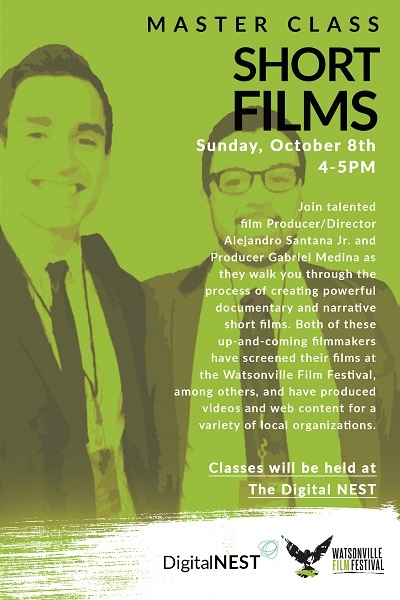 Filmmakers invited by the Watsonville Film Festival will offer a series of Master Classes at the Digital NEST. The goal of our FREE educational workshops is to empower the next wave of emerging filmmakers by giving them first-hand insight into the basics of developing their ideas, acting, making films, and getting their work seen by audiences. All master classes conclude with the opportunity to network with invited filmmakers and fellow attendees. 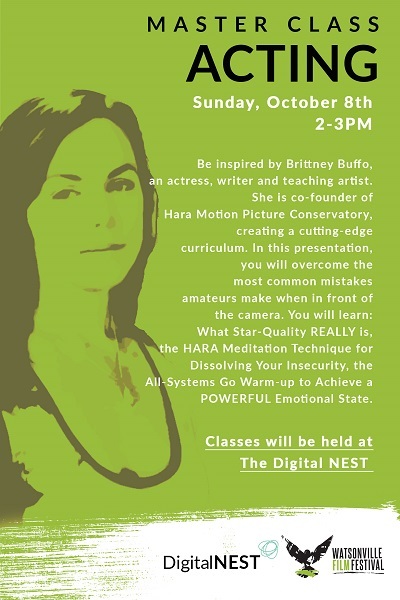 Master Classes take place Friday Oct. 6 and Sunday, Oct. 8 at Digital NEST. Details below.